Wilton Cheese FactoryRecord Owner? Log in. From the 401, take exit 599 and drive 6 km. north on Hwy 6. Turn right (east) at the Wilton turnoff and drive 2 km. into the village of Wilton. Cheese Factory is on the left (north) side. Open 7 days a week 9 am - 5 pm. Aged Cheddar is our specialty. We also have imported brands and gift boxes. Have something to say about Wilton Cheese Factory? Love Wilton Cheese. We would always pick some cheese curds up when we visited family or travelled to our cottage. We left Quebec to return home to Vancouver Island and stopped in Wilton on Canada Day 2014. We arrived in time for a wonderful Canada Day parade and turtles. Then were very lucky as the Cheese Factory opened for business. The service was wonderful and the cheese delicious. We bought lots and really enjoyed snacking on cheese curds across the country. We felt very virtuous about leaving a package for relatives in Toronto and Winnipeg but we kept the rest. It is a lovely little town with very nice people and a wonderful cheese business. It has a star beside it so we will make sure to stop again on our next drive back East. Happened to see the Wilton Cheese sign on a trip to Ottawa and popped in to buy some - fantastic - loved the raspberry cheddar. Customer service was a little sketchy but didn't deter me from buying some cheese. Please have on line ordering - I can't drive 3 hours every time I need some cheese. Your product is of very good quality and very delicious. Keep up the good work! I grew up in Kingston and on Wilton Cheese, still the best out there. Saturday afternoon meant a trip out to Wilton and a bag of curd for me and my brother. We moved away, 4 hours plus drive but when ever anyone from the family or a friend is near Kingston we beg for a bag of curd. I can't eat dairy now, but I will steal a few pieces when it squeaks cause it sooooo good! Me and my father used to go to the factory at least a few times a month. Ever since I was a little boy, we would get a couple of bags of curd and some old cheddar. Unfortunately my dad past away when I was still fairly young, but in respect to my father I love to visit the Wilton factory as often as I can. Keep it up, I have yet to find better cheese elsewhere. I stop in at the Factory for curd from time to time when I'm in the Kingston area. I have been very pleased with the curd until today. I purchased two bags and found it to be very, very salty. I think, maybe, someone got a little ambitious with the salt. My parents were raised in the Kingston area and we always had a cottage in Collins Bay! My 5 brothers and sisters and I grew up eating Wilton Cheese and to this day none of us will eat anything else! Every visit home to see my parents (they retired to Collins Bay) by any of us also includes a trip to Wilton for some cheese. Considering that my family stretches from Manitoulin Island to Tennessee and North Carolina, this is saying a lot about the quality of your product! 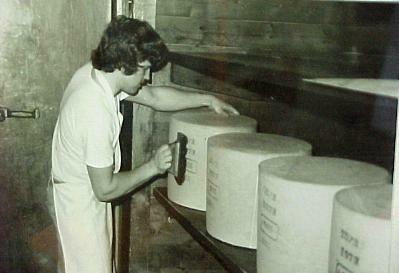 Thank you for staying true to your roots and continuing to produce the best cheese there is! I live in Toronto and the family cottage is in the area, as are most of my family. Every visit includes a trip to the Wilton Cheese Factory for a huge block of old cheddar. I live for this cheese. 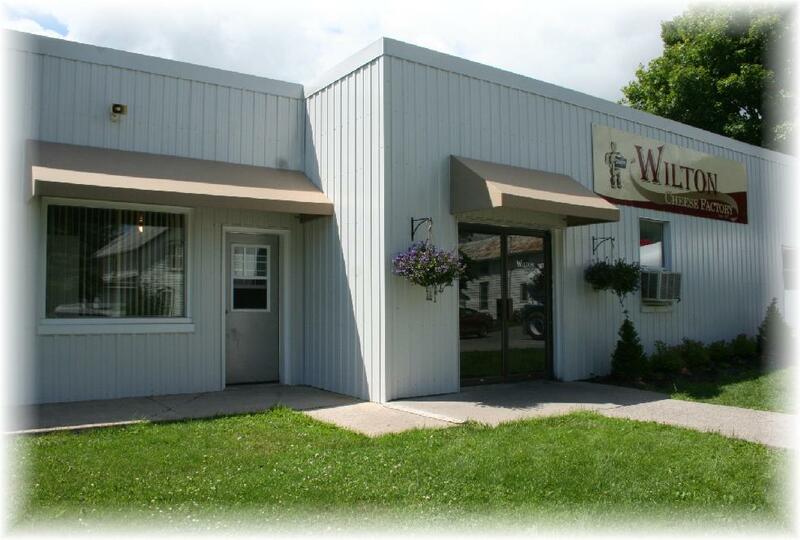 Frequently I will drive to Wilton from Perth to pickup a bag or 2 of your great curd. Have you ever thought of making horseradish cheese. I buy it in NY, it is really great but cant find it here. i live in picton ontario, my family enjoy taking a family drive to your factory as we really enjoy your curd. please keep up the great work on making one of the best curds around. My husband and I live in Rockland, ON and were in Kingston to celebrate our anniversary last October. We bought some parmesan cheese and curds. The parmesan lasted almost a year and was delicious. We are going back this weekend and plan on stopping again for more cheese! My family had been going for a long time now and this was our first time there. So glad we were introduced to Wilton Cheese Factory. We have been all over Eastern Ontario from Balderson to Eldorado and Wilton Cheese is the best. It's so nice to see a small factory still putting out quality product like this and not being managed by a big corporation. Hope they stay small forever. Two friend and I took a cross crountry trip and just happened across Wilton Cheese Factory. We bought so much curd and crackers it lasted us all the way back to Florida. We took pictures and one was of the factory shop. I googles them and found out how to contact them. Now I know how to get more of their cheese. I've not had any better cheese anywhere else. I hope I get to go back soon or I will order some. OMG, best cheese curds i have had besides the ' deep fried white cheese curds at Vallley Fair ' in Minnesota, was a resident of Kingston, back to NW sandbag yucky Ontario and craving my Wilton cheese curds... Mar 20th cannot come fast enough! I live in New York state and went to Alexandria Bay to a bar. The bartender asked if I would like some cheese curd, of course I said yes. It was Wilton curd and it is excellent. Hope to ride the Harley up next spring and visit the factory, great product. We live in PEI and were recently driving to Toronto for a family vacation. Saw the sign on the highway and decided to stop. So glad we did. We bought some amazing 5 year old cheese. We even tried to stop back there on our way home, but missed the hours by 30 minutes :( Will deffinately be making another stop our next time through!! I lived in Wilton when I was very young and until 13 years old Wilton was my home. 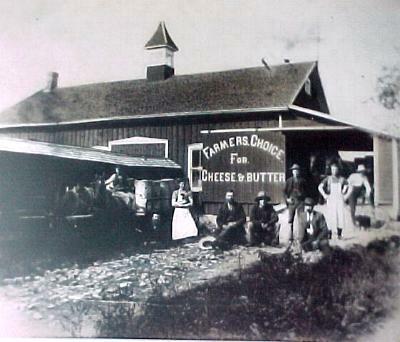 When we went to school there and on the way home we would stop at the Cheese Factory and get some cheese. We lived next door to Mr.& Mrs Huff. Those were great times then. I lived in the area when I was young. Now I'm about 100 miles away. But we still get to Wilton about 6-8 times a year. Usually an expensive stop. No other cheese compares. We've been meaning to stop in a number of times now on trips to Kingston but never seemed to have the time. Well this time we stopped and are we ever glad we did. As soon as we got home I shredded some of the old cheddar we bought for some grilled cheese sandwiches and they were the best we have ever had anywhere. Already planning our next trip! As a local, now living in Toronto, 'Wilton' quality cheese is simply not available, even in the better markets- I've looked for twenty years. There is just something about the flavour that seems unique to Wilton. Always worth the stop when heading east. It can't just be happy cows it takes a great staff too- thanks. I grew up in a cheese family (my father was a cheese maker his entire life) I worked in a cheese factory for many years. Other than my fathers 'personal batches of cheese', this factory produces the best cheddar I have seen in MANY years. You can tell that their old and medium cheddar is not their own, but their mild is good.... (Medium and old cheddar takes expensive storage space to produce)... I buy a block of mild whenever I trvel anywhere close by. 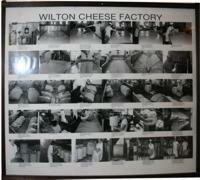 My entire family has been going to Wilton Cheese Factory for many, many years. My grandfather, Father, brother, and many uncles worked there at times through the years. Sunday drives as a child was always aimed at somehow ending up at Wilton Cheese Factory for curd & to bring cheese home. It is the most delicious treat ever. My son who is now 18 years old has started going there on his own to pick up a surprise to bring home every weekend. He loves Wilton cheese. I rarely go a day without eating Wilton cheese. I have cheese & crackers almost daily for a snack. I honestly can't imagine eating any other inferior cheese. It seems almost a crime to even try any other cheeses. Wilton Cheese is our favorite cheese!!! Love Wilton Cheese. My family would always stop there on our way to the cottage, its become a tradition. Now, my neices and nephews are familiar with Wilton Cheese and seem to enjoy it just as much as the rest of us! 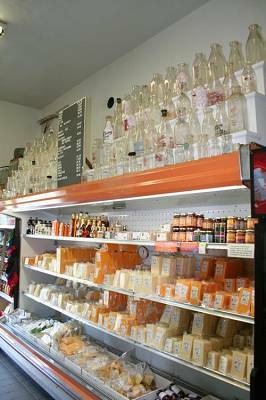 I have been coming to Wilton Cheese for at least 50 years and its the best... the curd is the best I have had any where in Ontario.. we live in Cambridge and still manage to come down as often as we can. It will remain a family tradition for years to come !! 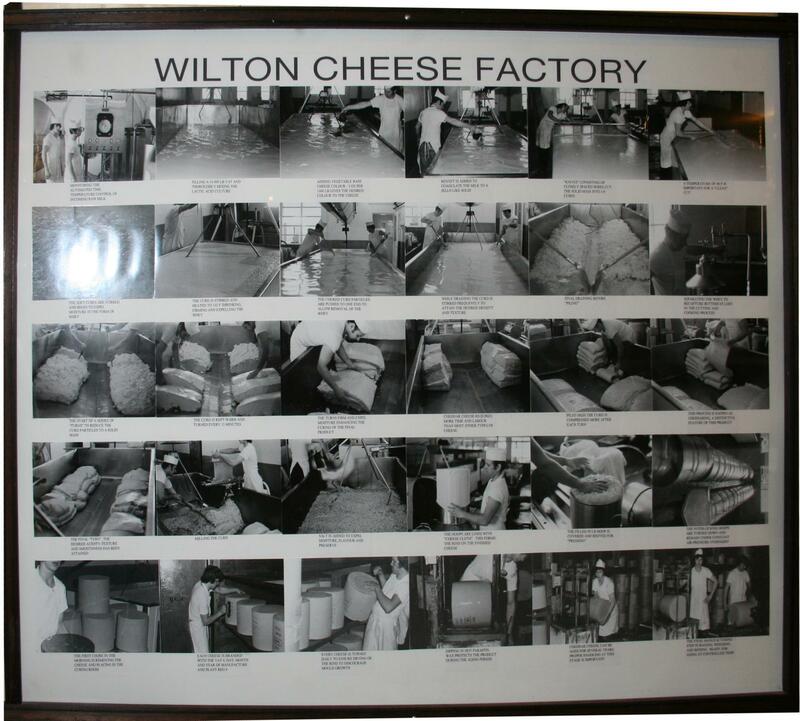 I have been coming to Wilton Cheese factory all my life and have raised my 6 children and 14 grandchildren and one great-grandson on products from there especially the curd! We lived in Ellit Lake for 21yrs and now North bay for 19 and every time we come home we make a stop. Our older daughter has lived in yellowknofe and now Calgary and we always send cheese and curd to her and her family. Our family loves Wilton and we have tried curd from all over canad and none comapres to Wilton! I have picked up curd and cheese for co-workers everytime we stop and have orders up to $600 every time!